Mustangs! Center the Rearend under your car!!! NEW Track Locator for Stock Suspension cars. Stop fighting it and make those adjustments MUCH easier. If you already have a Prolaunch upper control arm kit then this is what you need. Center the rearend under your car the EASY WAY! **This part ONLY works with the Prolaunch Upper Control Arm kits. Depending on who you ask the pinion angle is the angle of the pinion relative to the Crankshaft Centerline OR the Driveshaft. I prefer the Crankshaft but I have explained both procedures below. 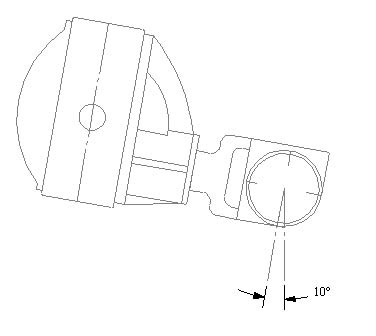 To measure it, you will need an angle finder that has a 360degree face and uses gravity to pull the needle. These usually come with a magnetic base and are about 3-4" in diameter. ~If all the control arms have Factory bushings: Set Pinion Angle 3 degrees to 4 degrees downward. 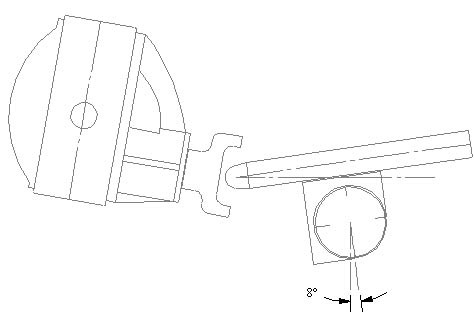 ~If all the control arms have Poly bushings: Set Pinion Angle 2 1/2 degrees to 3 degrees downward. ~If all the control arms have Solid bushings: Set Pinion Angle 1 degrees to 1 ½ degrees downward. 1. Place angle finder on bottom of driveshaft and write down the reading. 3. Rotate the pinion so that the ujoint caps on the yoke are pointing up and down. 4. 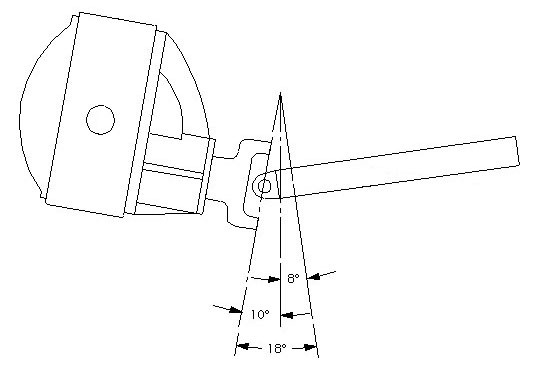 Set the angle finder on the face of the yoke where the u-bolts go through. Sometimes the face of the yoke is not perfectly flat so I lay a socket lengthwise where the ujoint caps fit then put the angle finder on the socket. 5. Read the angle and write it down. Determine the difference between these values then decide which way the pinion needs to be rotated to achieve the proper pinion angle. 2. Rotate the yoke on the rearend so that the ujoint caps on the yoke are pointing up and down. 3. Set the angle finder on the face of the yoke where the small u-bolts go through. Sometimes the face of the yoke is not perfectly flat so I lay a socket lengthwise where the ujoint caps fit then put the angle finder against the socket. 4. Read the angle and write it down. 5. Next, hold the gauge against the front of the Harmonic Balancer. This is perpendicular to the Crankshaft so makes a great place to measure the angle from. Write down this number.